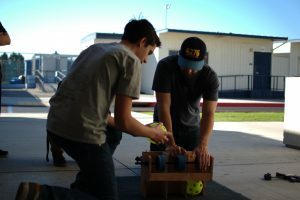 The team brought all focus to prototyping the robot. The shooter and intake system were developed, giving promise for the first stage of the robot. The prototype drive system is currently being developed, and the team hopes to get a prototype chassis by the upcoming Saturday. The programming team is writing up code for the robot and some field elements were built, ready for testing.